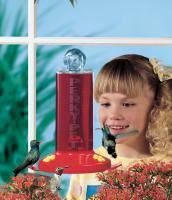 If you want to get up close and personal with the birds in your yard, a window feeder is your best bet. 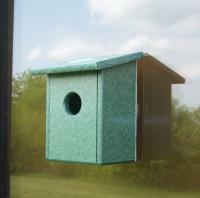 A window feeder can be attached to a window by Velcro or suction cups, or placed inside a windowsill; its major benefit is the intimacy it adds to the bird watching experience. 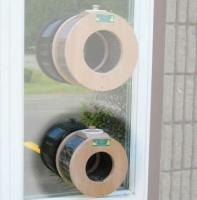 A window feeder often comes with a one-way mirror, which allows you to get inches away from your feathered friends without disturbing them. 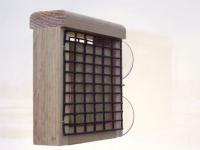 For this reason, some bird lovers mount window feeders near a sink or personal computer to provide a break from work. 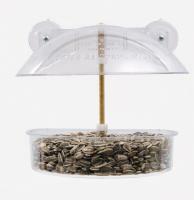 A window bird feeder is also ideal for poor weather, as it allows you to observe birds from the comfort of your home. 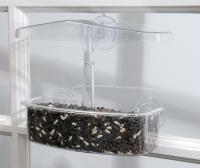 And remember, like all products we sell, every window feeder comes with a 30-day money-back guarantee, so you can be sure you'll be satisfied with your purchase. 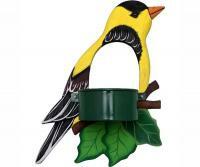 I have had several window mount bird feeders in the past. This one is the best! 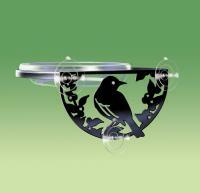 The attachment design is perfect and you really can see the birds all the way around! I love this feeder. 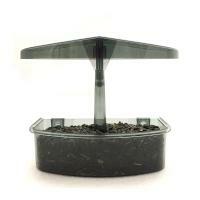 It attaches easily to a window and is easy to remove the tray to refill the birdseed. 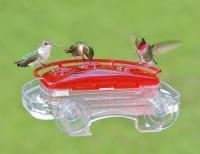 The cardinals love it -- but I've also had woodpeckers and bluebirds. 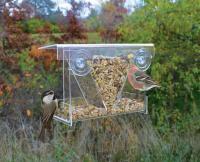 Because it is clear, it is so easy to see the birds while they eat -- it really is a clever idea! Small birds will use it. Problem is only small birds. It is too small for Blue jays an Cardinals. It is too big for Pigeons and Doves which I am fine with, Sparrows fine. This is a very good feeder. Five Stars. 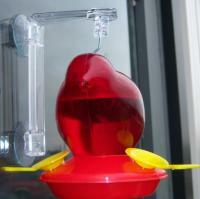 It's very user friendly: simple to slide off and on the suction. The birds also seem to like it as well. 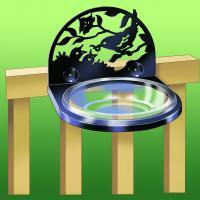 The two little foot stands are also very good as the birds use it frequently. A Definitive Guide to Wild Bird Food - Wild birds eat an array of foods, including everything from seeds and fruit to mealworms and beef fat. 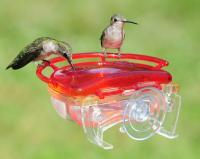 This guide covers all the foods you can give backyard birds and the species each will attract. Tips To Protect Your Bird Feeder From Bears - With their persistent strength and keen smell, bears are a major menace to bird feeders. Here are some helpful tips for keeping bears away from your feeder. 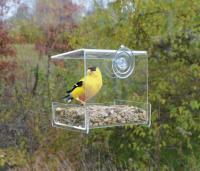 How To Clean Your Bird Feeder - Cleaning your bird feeder each month is vital to keeping wild birds safe from infection by salmonella and other bacteria. 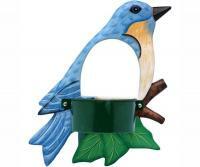 If you have a backyard bird feeder, here are some tips for cleaning it thoroughly.